Exquisite artwork and an exceptionally tender text showcase the special bond between a mother and her daughter. Every day after school, Luisa goes to Walter's World of Beauty to watch her mama work-cutting, coloring, and curling customers' hair. Before they go home, Mama puts her tip money in a special envelope for Luisa-for college. She wants to give Luisa the world! But Luisa has a plan of her own. 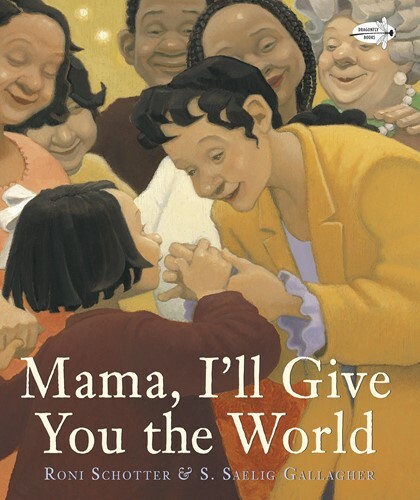 For Mama's birthday, Luisa wants to give Mama the world. . . . This touching story of a loving child and a single, hard-working mother is sure to be a favorite of families everywhere.